There are some outlets advertising warmth Week 2, but I would have to disagree. 12z GEFS advertising widespread Frost potential across the central states post 10th. Today's 12z GEFS continues with the trends as we roll into the middle of October and lining up towards the East Asian Theory with a bigger trough potential by middle of the month. From a big time ridge over the Midwest/Lakes/OV just 3 days ago...to...what ridge....???? I just looked at 12z GFS op run. Still wants to stall out the front mid next week. And then moves slowly SE. Gonna be some nice rains for some of us if that pans out. After that it turns into a troughy pattern. Not a lot of warmth on this run atleast. Nice looking trends the past couple days. According to the 12 Euro, the Midwest/Lakes warm up only lasts 3 days next week Mon-Wed. The Euro still has the cold front pushing through NE Tuesday pm while the GFS is farther north. I'd ridge the Euro at this point bc it makes sense given the hemispheric pattern that is evolving. My, oh my, what a massive trough on today's Euro by Day 8-10! Using the BSR, both GFS/EURO advertising a very deep trough across the Bearing Sea by 4th/5th...the placement of this trough should suggest a very deep trough across the Midwest somewhere for the last full week of October. Could there be snow flakes flying somewhere before Halloween??? I hate to jump on this train so early, but I could not help myself given recent trends. Is it possible that this year could be the exact opposite of last year with models? Last year it consistently seemed that as things drew nearer they basically fell apart. However, though these are long range models and thus have much greater variability, is it possible that these "positive flips" lend themselves even better heading into the heart of winter? I know this is premature, but I had to post something to get myself ready for the season! Oh yes they did! Most storms I remember trended NW and sheared out as they blasted the Dakotas. Curiosity, is what drives us humans of the unknown and I, to, am very curious to see if indeed these latest trends are something to look for rolling into the cold season. My gut feeling tells me that we will see more amplified blocking unlike years past. This season has characteristics I would pray for seeing as a kid growing up and hearing stories of the great winters in the late 70's. If we get to see something along those lines this year and be able to see mother nature produce something special across our sub forum I will be lit from "ear to ear". The 06z GFS showed a dream storm track. Geeze, the 12z EPS drops a major trough by Day 8-10 which would unleash the coldest air of this early cold season....hello new LRC! Just looked at the last run of the EPS weeklies... YOWZA! Early November snow is imminent for NE if that thing is even half correct. Shows a nice, huge trough around Veteran's Day. That thing is a wishcaster's dream. Sounds similar to the CFS/CFSv2 long range. Looking optimistic early on, but we all know it can change. Although, my money would be for trends to continue. My bday is Veteran's Day. Bring me a snowy bday gift! 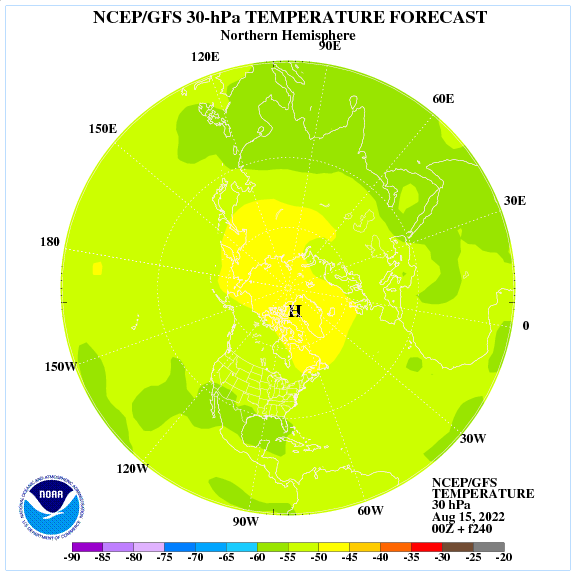 Growing confidence that most of this subforum will see near normal temps (if not below normal) for the first half of the month based on what I'm seeing in the W PAC. Even though Oct 2007 is being used as an analog, not every year is quite the same. With that being said, most of the warmth will likely be shoved farther east and the central CONUS will likely be carved out in a troughy pattern. Warmer risks across the OV/Apps. As the new LRC evolves, nature does not waste anytime and flashes what may be dubbed a #PolarVortex feature as part of the new LRC by Day 8-10. Typically, we see the LRC evolve between the 5th-8th of October and wouldn't you know, this is right when we see this 500mb pattern over N.A. Both GFS/EURO show a major trough with blocking all across the high latitudes. What strikes me about these maps below is how far south this closed low is spinning in southern Canada...across Manitoba! I remember in '13-'14 we had a similar feature as such but farther north near Hudson Bay and with less blocking. Need to make a mental note of this when we get deeper into the colder months. Lastly, this is prob the most ideal SST configuration in the W & N PAC you would like to see for the central CONUS...run this through winter please! GFS predicting favorable conditions up in the stratosphere that usually produces cross polar flow across N.A. 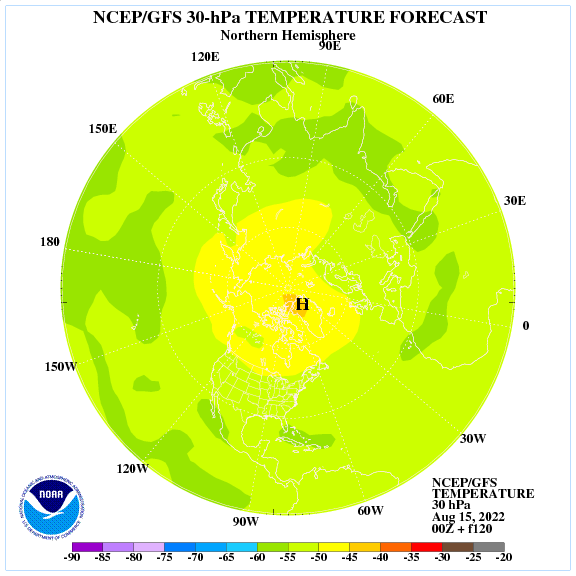 By Oct 5th, rising heights over Siberia/Russia begin to disrupt, or rather, elongate the PV feature into N.A. Hey LNK Weather, can you confirm the 00z Euro is very wet across the Plains/Midwest/Lakes through the next 10 days? I think I saw a map that showed widespread 1-4" of precip across most of our subforum. Tom, yes the 00z Euro has a solid widespread swath of 1-3" of precip across NE, IA, IL, MN, up to MI over the next 10 days. Most of it falls early next week. Thanks Andrew! I think I'm going to subscribe to Wx Bell tomorrow so I appreciate you confirming that. How you been? You bet, doing great! Been lurking around here lately, getting excited for a reset on the LRC and hopeful for a great winter ahead. Hope all is well with you! I'm liking the way the storm track looks for us. The problem with last year is aside from it being too warm, whatever storm systems there were passed to our NW. Too far SE is by far better for us than too far NW, and we are more likely to get a jackpot from a Southeasterly storm track. Is this the first storm of the new LRC???? 12z GFS flashing our first CO Low of the season...00z Euro from last night was sorta trying to do the same thing. This is still very early, but I look for these trends when trying to see how models handle pieces of energy this season and where storms tend to intensify. I'll tell you one thing, this is a completely opposite scenario form last year where storms blasted WA/OR and then trended NW towards the Upper Midwest. Has anyone noticed how "quiet" all the folks on social media were who were hyping warmth??? Very nice to see GFS and Euro in agreement on this pattern evolving! Has Gary Lezak weighed in on the new LRC? Not yet, but I'm sure he will start early next week. Wow, nice find Jeremy! Thanks. Yeah, it was advertised on another forum during Irma but I forgot to post. Thx for this! LOL, Warminista peeps should be "rushing their escape plans to completion" for the impending cold season! GRR has now lost the pair of 80 deg highs in my local they had this morning. I told you that heatwave was the passing regime's "grand finale"
Awesome!! One of my favorite words!!!!! I am hoping this Winter. So far, I haven't seen that much snow OTG yet in SEMI. In the words of Arnold Schwarzenegger: "I'll be BACK!" Seriously though, there's your winter pattern in a nutshell. Looks like BAM's AAM map, doesn't it?? Finally, greens! If troughing is persistent I could see them busting on temps at least for MI. Something closer to average I'm thinking. Tbh, I think they busted on the warm-up for next week. Now, the 80s are gone and the 70s are short-lived. Instead of a long stretch of warm weather, they now have my forecast only 3 days in the 70s, then, it cools off. 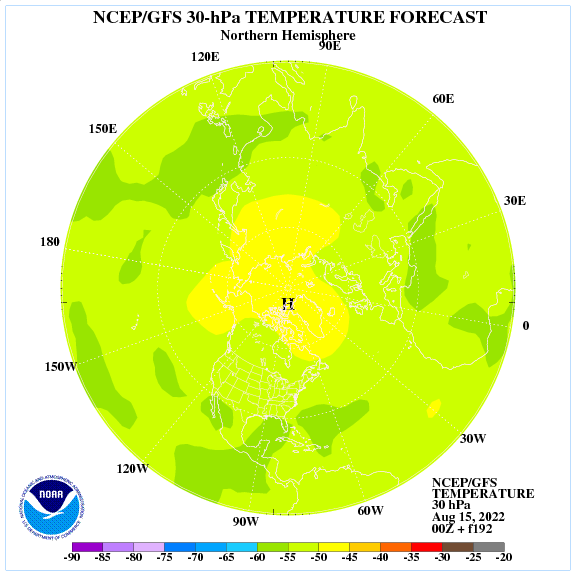 Warmth does not look as intense/long lasting as it did previously, but I'd bet on it getting into the 80s in Michigan. With the progged temps aloft and decent mixing, most models (and actual forecasts, imo) are going to be too low on temps. I could see that happening esp with a strong southerly flow. True. High temps always like to overachieve. I mean, even if it's only for 30 mins it counts. A bust on precip could take hours to achieve (in either direction). And for the record, I'm fine with a couple 80s during the first week of October. October will sure arrive cold. My readings are already @ 44F. I have a feeling temps may get as low as the mid 30s tanite. 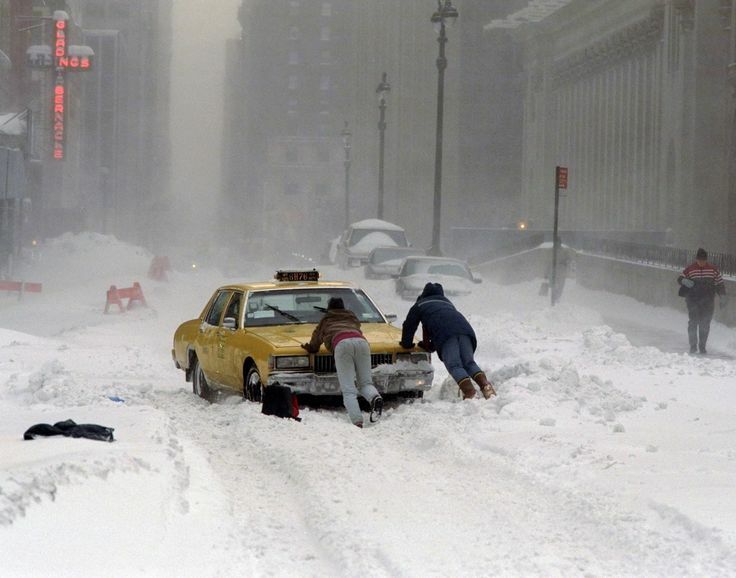 This is the famous "Blizzard of 1996" in NYC. I will always remember this storm. Visibility was zero for so many hours. Where I lived, (Queens, NY) just east of NYC, received a crippling 28.6". 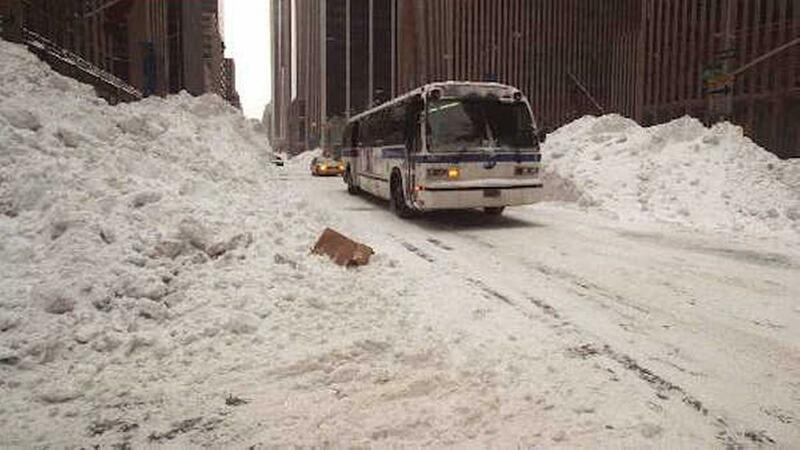 NYC received 22inches. GRR has put the 'F' word in my local for tonight. Apparently this cold is over-performing! Could be our theme going forward. I would not be surprised at all. Good times ahead. Wow! You were lucky to live there in recent times when they had so many historic storms! I'm still waiting to experience a legit Cat-5 storm as an adult.. Yes, there were some amazing storms. The Atlantic and GOM can really feed in energy and turn them into true, monster Nor`Easters. I have yet to see anything like this here in SEMI. Still waiting as well. Currently @ 43F right b4 the midnight hour. So, yup, its looking more like mid 30's for overnight lows, instead of upper 30's. Welcome to October! Heading to Lake Michigan down by Burnham Harbor (downtown)...hopefully catch some nice King's! First time I'm trying an overnight catch up until just after sunrise. I'll try to catch a nice sunrise...adios!